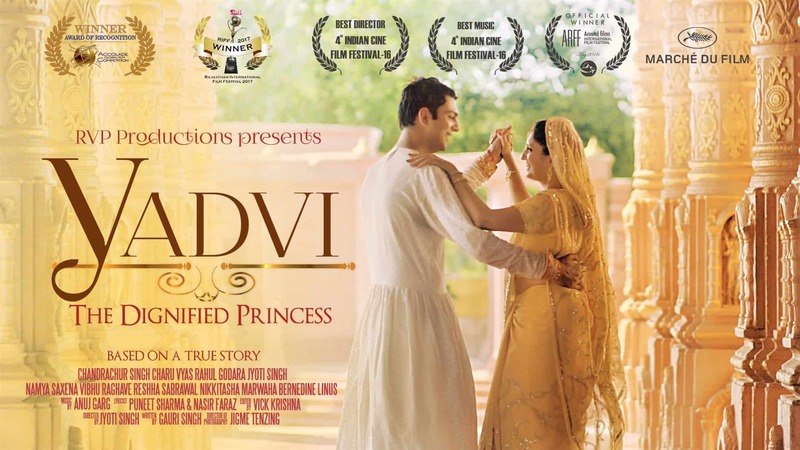 Director Jyoti Singh speaks to BizAsiaLive.com about her film ‘Yadvi – The Dignified Princess’, a biopic on Princess Yadhuvansh Kumari of Patiala. Coming from the royal family herself, Singh believes that struggles were a part of the lives of royalties as much as commoners. In her debut film as a director, she chooses to showcase the life of her grandmother and the struggles that she went through as she lost much of what she had. We understand Yadvi is based on the life of your grandmother. Could you elucidate why you believe her story deserves a film? A lot of people want to tell a lot of stories, which need to be told. But the reason I believe this story is important is because first of all, she was the daughter of one of the wealthiest royals in India at that time. A king who led a colorful, lavish lifestyle and Yadvi, as Yadhuvansh Kumari was called, was one of the numerous children sired by him and her mother was the king’s third wife, and his favourite wife, Maharani Bimal Kaur. 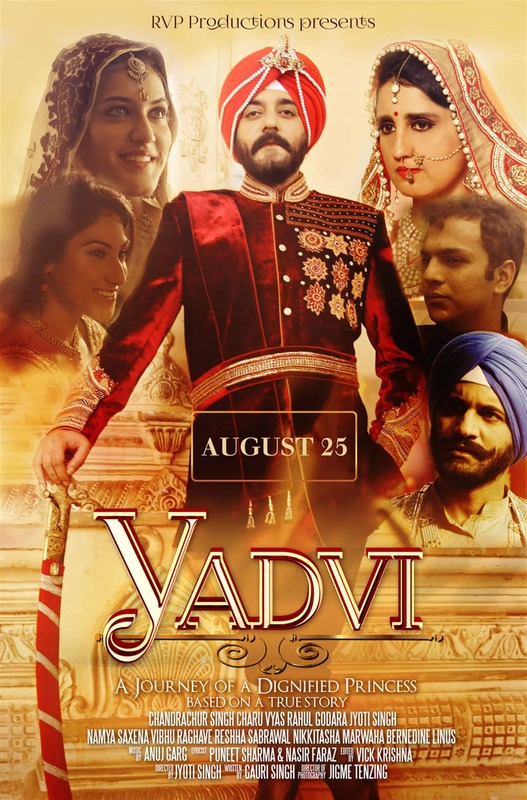 It chronicles Yadvi’s journey from facing a shocking obstacle right upon marriage and demonstrates the strength she held onto throughout the course of falling in love (after marriage) and navigating through the difficulty of accommodating the other wives of her husband as well as raising three refined daughters almost single-handedly. This is also during the time when monarchy was ending in India. Set during an era when women hardly had any rights, the film leaves the audience with inspiration and courage to overcome any adversity, even today. The film does not show what you knew of heard about the royalty. How was it living the life of your grandmother on screen? It is a very interesting question. I am yet to believe I justified her role. At the time of shooting I was working as director, being production manager, getting actors, scheduling scenes, that I felt like I had no time to prep. At that time, I felt I could have done so much better. But by now I have watched the film over I would say 50 times and believe me, I have cried myself in some scenes, about 50 percent of the time. Sometimes while watching I feel, I wonder what she went through. How when I saw her as a child, I hardly knew about her challenges. She was unlike anyone else I have ever met or have met till today. She had charisma. Her dressing style, cleanliness, and emphasis on manners which she also inculcated in us were a pure reflection of a bygone royal era, which included the likes of Nehru and Mountbatten. Watching her as child I knew she had integrity, too me it was seeing her as self-complete, whole in herself, and manifesting strong moral principles.I believe if I was only acting, I would have done a lot better. Does your film intend to make a statement on women empowerment? Chandrachur Singh, the male protagonist is playing Maharaja Bhupinder Singh, who captained the Indian cricket team. Are there any facets of his public life that you are showcasing in the film? Maharaja Bhupinder Singh of Patiala is remembered for his cricket and polo teams – Patiala XI and Patiala Tigers – both among the best of India. We actually have a quick 3 min section of documentary style discussing some of the important facts of his life, because we wanted to show where Yadvi came from. Why is Yadvi (Yadhuvansh Kumari) so important? You are an actor first and ‘Yadvi’ is your first film as a director. How enriching has this journey been? Are there are particular lessons that you learnt as a filmmaker? It was unique journey. Firstly, I had actually never worked in India. I am Indian, but lived more of my life in US. So of course I don’t understand the system. There is a hierarchy system present, which I learned pretty fast. So knowing I have little control as a woman and knowing how people were ripping me off, I faced obstacles every day. Secondly, it is not easy for traditional Indian men to handle orders from a woman, often younger than themselves. Thirdly, it was a challenge to work with different teams who were simultaneously shooting other TV shows on the same sets…to arrange the schedule. We had to work around their schedule, that was a pain. Getting actors, arranging their travel, managing everything, accounting/money, directing and acting…boy, my plate was more than full! I am glad I had my cinematographer, Jigme Tenzing, and my sister, Gauri Singh, Vibhu Raghav who helped me immensely in this journey. I learned if you stay humble, don’t break under pressure. You chose to shoot the film in English. Any particular reason? The movie is in English because I made it more for the international audiences. I do believe it is anyone’s story. Also if you go back in time, India was under British rule, most of the kids raised in palaces spoke in English. My grandmother spoke to us in English and Hindi. We believe you used actual clothes from the era for the film. Tell us more about it. We were trying to keep each real character as real. For Maharaja Bhupinder Singh character, we got some clothes made. There is a picture on our poster, and the outfit, Chandrachur Singh wears, is something we copied from actual pictures of Maharaja Bhupinder Singh, which can be found on internet. As for younger Yadvi, we used some Patiala cut salwar’s. As we know that style also came from Patiala family. Most of those style and salwar’s were made for us, by our grandmother, Yadvi, herself. I play Princess Yadhuvansh Kumari, and most of the sari’s I wore, were hers, passed down by her to her daughters, which my mother, Mrinalini Kumari, handed it to us, her three daughters, Ketki, Gauri, and I. The film has made its mark across plenty of film festivals across the world. Do you believe international acclaim validates your talent as a filmmaker? I am first time filmmaker. I believe in any film it is not one person but the whole team. If you are able to make a film, from pre-production, go through the shoot, post production and release, regardless of the result, I believe you have proved yourself. Whereas validation of talent, I believe, beauty is in the eye of the beholder. Let the viewer be the judge. But yes, I am proud of the work. It is not easy, and I can say that coming from no background of filmmaking. You are based out of New York. Any plans of releasing ‘Yadvi’ in the US? ‘Yadvi’ releases on 25th August.